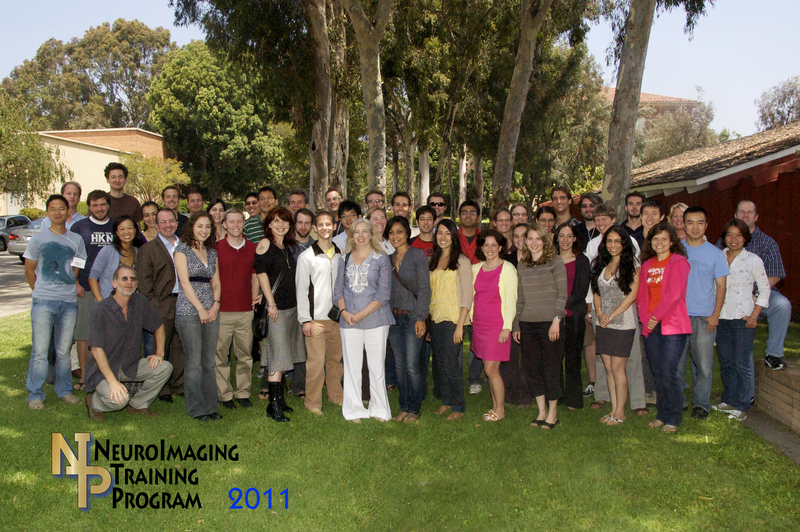 Each year we are pleased to be able to offer a two week intensive summer program on advanced topics in neuroimaging. The purpose of this course is to provide a solid foundation in state-of-the-art functional neuroimaging methods. The course covers all aspects of MRI-based neuroimaging data acquisition, experimental design, and data analysis. In addition, students will interact closely with these lecturers in hands-on laboratory exercises and data analysis projects. 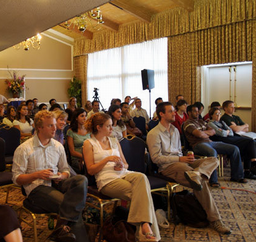 Our 2011 Fifth Annual Summer Program will run from July 11 through July 22 and will be held on the UCLA campus. The course is presented as a mixture of classroom didactics and practical lab experience and is highly interactive. This year we are considering the issues of connectivity analyses and machine learning..
Our program is targeted to investigators with significant experience in neuroimaging who are eager to gain more tools and knowledge to apply to their work. This year we once again will have an extraordinary faculty of internationally known experts. YOUR EVALUATIONS ARE EXTREMELY IMPORTANT TO US. Our ability to continue this program at all may depend on them (read more). We archive our webcasts at Livestream.com. The (Video) for any lecture links to a recorded video. You will the archived 2011 summer program at our video on demand web page. Please note that at this writing (July 23, 2011) the on demand library is somewhat incomplete. We will be improving the content in post-production over the next weeks. Thanks to the generosity of the National Institutes of Health under grant numbers T90 DA022768 and R90 DA023432 we are able to offer the course without tuition and are able to cover the costs of lodging for students form outside of the LA area. The program is open to applicants worldwide (though we are unable cover costs of travel). We are able to admit about 35 students each year. The course will feature hands-on laboratory sections in neuroanatomy and image analysis, demonstrations of EEG-fMRI and an opportunity to design experiments and collect data at the UCLA Center for Cognitive Neuroscience imaging laboratory. As in prior years, the lectures will be simulcast on the internet. SOME QUESTIONS and ANSWERS about the summer program. This page is updated frequently, so you may wish to refer to it from time to time. Can you recommend a good brain atlas? Dr. Bookheimer recommends the Duvernoy, Mai and, of course, Talairach & Tournoux atlases. Mark likes a variety of digital atlases including those included in fslview and in afni, as well as the convenient iPad atlases: 3DBrain and BrainView and, for $1.99, BrainTutor HD.